The charming beauty of crystal decors were enjoyed by royal families for many centuries together. Crystals improve the energy that is circulating in and around your sweet home. But now this is the rising trend in home décor as many home owners opt for crystal at home. Decorating with precious stones is something impossible so, why not we create the same look with these affordable crystal decors. Sparkling wall arts will take away the hearts of every one who enters your sweet palace. 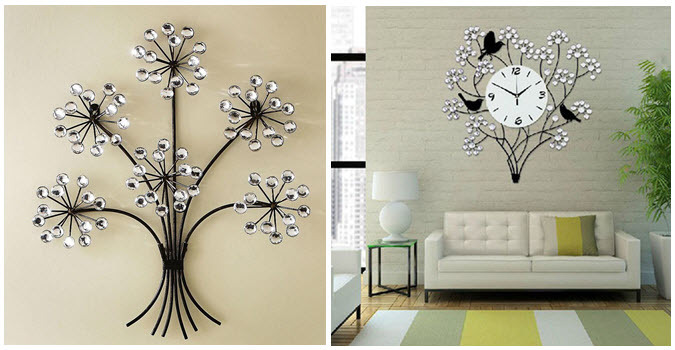 The acrylic crystal antique metal tree, decorative crystal needle with a clock centered will create a punchy unforgettable living room. Crystal decors are just a step above that takes your home décor to a different level. Crystal sun catchers are the best friend for sunlit windows. Hang the star burst crystal, prism hanging ball sun catchers to watch a beautiful play of rainbow lights indoors. Hanging crystal in sunny window is proven to attract auspicious energy. Dressing up your home with lights makes it look brilliant, and if it is with a crystal chandelier? The beauty can quite literally take your breath away. The round modern crystal chandelier, LED rectangle carved chandelier are the best choice for people who prefer stylish interiors. Have you seen this castle in your dream? Wake up it is now a dream come true crystal stairs. 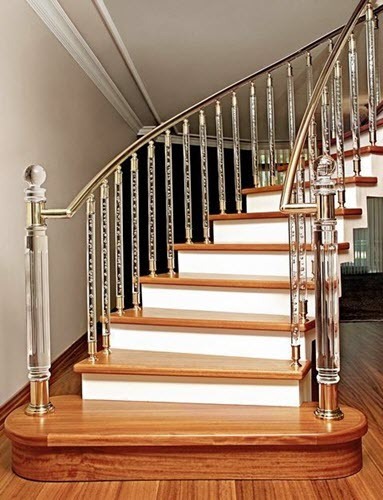 The crystal hand rails are classy in its looks to freeze the amazing beauty of crystals. Crystal candle holders add a touch of elegance and class to the home décor. The amethyst candle holder, ruby clear mirror medium can create that special something to brighten any setting. The spectacular holders create a beautiful individual style to the décor. No doubt, your all-time favorite space is your dressing table. The crystal and beaded dressing table set with tissue box cover, makeup holder looks cool and amazing just like you. The crystal bird is a mind-blowing clutch that would be loved by everyone. Never miss these luxurious collections when you plan a gift for your loved one. The same old matching, contra colored curtains is really dull and boring. 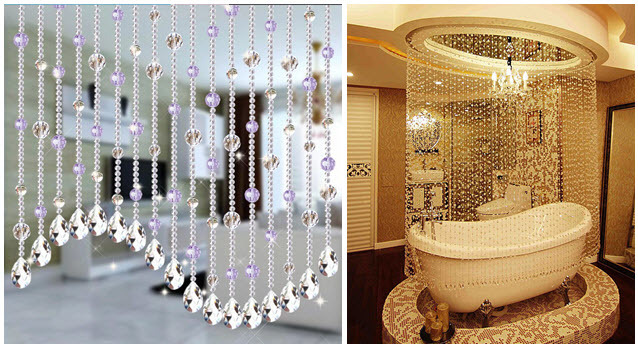 The acrylic crystal beads curtain will decorate the simplest of areas to become eye-catching. The immense beauty of the crystals can be taken to any space, even to the bathroom to create a warm luxury. The radiance of crystal with its timeless beauty will take your décor to the next incomparable level. Anything looks cool and charming when made with crystal. Spread the sparkling shine of crystal everywhere to spruce up your home. Unique pics related to the topic is always welcome from your side.